While the term "foreclosure" is actually a process, the real estate industry and related professionals have adopted the term to identify bank-owned properties. Foreclosures are properties owned by banks and made available to the public. When a home is foreclosed on, it often results in the bank taking ownership. Since banks are not directly in the real estate business, the properties are listed on the open market at bargain prices. The homes are sold free and clear of any liens. While you may imagine that foreclosures fall into the category of fixer uppers, you'll be pleasantly surprised that many foreclosures are in move-in ready condition. Some foreclosure homes have new carpet, fresh paint and/or new appliances. Unlike short sales, foreclosures do not take 4 to 6+ months to close. On average, you can move into a foreclosure in only 30 to 45 days. Because we are highly knowledgeable and experienced with foreclosures in Rio Rancho, we are able to assist our clients in reducing the time it takes to close. The distinction between a foreclosure and a HUD home is subtle. The primary difference is ownership. Since FHA has guaranteed the loan on behalf of the federal government on a property, FHA pays off the lender of record. Therefore, instead of the property going back to the bank as with a foreclosure, it reverts back to its �owner�, which in this scenario is HUD (Housing & Urban Development). 1) Use our FREE Map-Based Home Search. You can begin searching for Rio Rancho foreclosure homes immediately with real-time search results. You'll have access to all available photos, virtual tours and property details. There is no sign-up required. To begin searching, click here. 2) Setup FREE Listing Alerts. With listing alerts, you will know when a new foreclosure listing that matches your specific interests, hits the market. You'll know before most real estate agents do. There's no obligation and you can stop the alerts at anytime. Setup your alerts today, click here. We strongly recommend performing all applicable home inspections. Although some foreclosures are in spectacular condition, you don't know what is going on with the structure or mechanics. 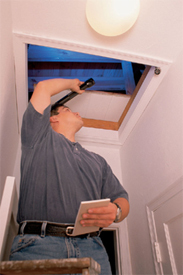 Having qualified inspectors can provide you with a report on the true condition of the home. Now, since the property is bank-owned, you will have to pay for all inspections. With regard to repairs, foreclosure homes are typically sold as-is. In some rare cases, it may be possible to request the bank to pay for a necessary repair (e.g. septic tank, furnace, etc.) that would make the home habitable. However, you should anticipate for the home to be sold as-is. Feel free to call/text us at (505) 730-8181 or e-mail us with questions about buying a bank-owned homes. Remember, there is no cost to you for our assistance with the purchase of a home. The seller pays for our services, so take advantage of side-by-side assistance during your journey.